Many of the set-top boxes of today are very versatile, allowing owners to add applications and games at their own leisure. Apple TV 2G however, doesn’t allow this, strange given the scale of its much celebrated App Store, with hundreds of thousands of downloadable apps and games. A post by appletvblack demonstrates that one can attain a little gaming joy through a HTML5-based Blackjack game through the second-gen Apple TV. One game is hardly comparable to what you could get from an iPad, for example, but it is worth checking out nonetheless. HTML, to give a little background for those of you that don’t know, is essentially language of the internet – the core structuring behind the web pages you see every time you open your Safari or your Firefox. There are various elements and commands which make every single thing you see on a page, such as this Blackjack game, work as it does. Your browser is essentially the middle-man, translating the code and presenting it to you in a language easier to interpret and interact with. HTML5 is a more advanced, more cross-platform version of this language which is being introduced in places all over the net, and is the future of the internet’s core technology. HTML and coding in general isn’t something that everybody necessarily appreciates, but if you do fancy learning a little bit of how your internet is made up, there are many good resources such as w3schools in which you can delve into the blueprints of the internet as it were. Similar to driving a car without knowing anything of how it works – you certainly acknowledge the complexity more once you begin to look into the various components. Steve Jobs has always said, ratified by Tim Cook just last year, that Apple TV was merely a "hobby", which to a degree explains the lackluster sales and lack of general interest from the Cupertino company (as well as consumers). With most of the time and effort circulating pretty much everything else on Apple’s roster, the small set top box has not really been developed to its full potential. 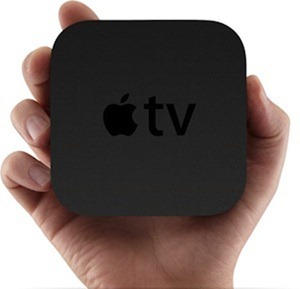 Updates suggest that there is still life in Apple TV yet though. Users can now purchase and stream TV shows directly to their TV, whereas previously, one could only do this with rented shows. With Apple anxious also for iCloud integration across the board, there is some serious potential for Apple TV’s numbers to increase in the near future. You will of course need a jailbroken second Gen Apple TV Device in order play the web-based Blackjack game, information of which you can find here. You will also need to install Couch Surfer Pro, which can be obtained from here.